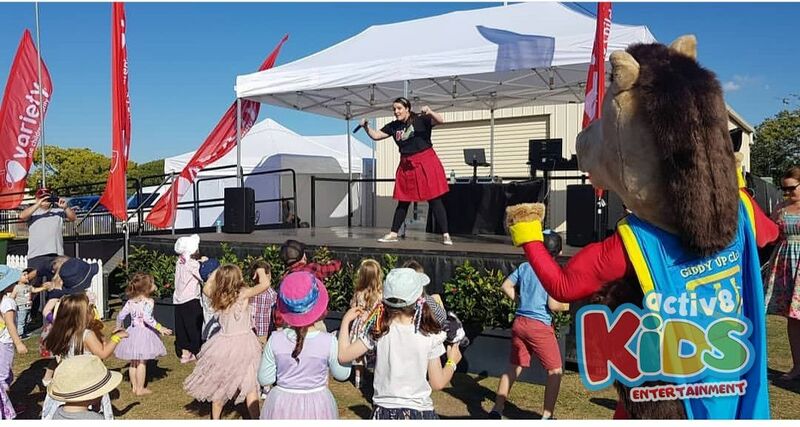 Dj Sam had the pleasure of hosting the Teddy Bears’ Picnic at the Races supported by Variety – the Children’s Charity of Queensland and Brisbane Racing Club. It was a beautiful winters day on Saturday 28th July with the sun shining ready for a morning of fashion, picnics, dancing and of course bears. Doomben was awash with furry friends, colourful picnic blankets, rides, games and entertainment for the little ones, including a Kids Disco and face painting. The Kids even had the chance to enter into the Fashions on the Field with their best dressed bears! Where do we begin? There was a Jumping Castle, Build-A-Bear Workshop, Kids’ Disco with DJ Sam, Fashions on the Field (Kids), Petting Zoo, Pony Rides, Face Painters, Cup & Saucer Ride and Golf Central Zone. Sam was the MC for the Fashions on the Fields event with over 50 entrants into the Best Dressed Kid category. There was beautiful, colourful fashion from babies right through to teenagers. The stage was a sea of colour and of course all of the kids had their teddy bears in hand, some teddy bears even wearing crowns, hats and horse themed fascinator’s. DJ Sam played some groovy tunes while the judges deliberated, as it was such a tough choice. Soon it was time for the Best Dressed Family category and all of the wonderfully dressed families made their way to the stage to show off their picnic themed outfits. DJ Sam kicked off the disco with some tunes such as What Does the Fox Say, but of course we had to replace fox with BEAR as it was a Teddy Bear’s picnic. We had Uptown Funk (parents favourite) Shake it Off, I Like to Move it and the Cha Cha Slide! We were shaking, grooving and singing, a wonderful day on the Green supporting such a fantastic charity, Variety – the Children’s Charity of Queensland. Thanks for having Activ8 Kids Entertainment for a wonderful day at Brisbane Racing Club.